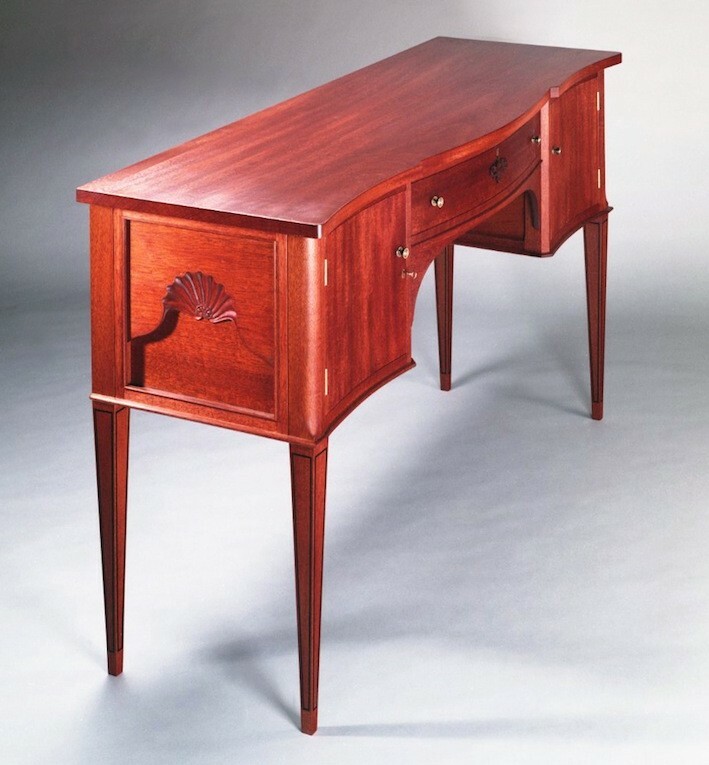 Built out of book-matched, pattern-grade Honduras mahogany, this sideboard was the first of three pieces commissioned by a client from Cotuit, Cape Cod. With a federal flair and serpentine design, the piece deviates from the traditional featuring carved shell end panels and carved front drawer floral detail. All surfaces of the legs were treated to outlined ebonized inlays. Felt drawer inserts for silverware were installed. High-end hardware, hinges, and locks were reproduced using the lost wax method and acquired from Whitechapel Ltd. The finish is stain under a hand rubbed varnish.